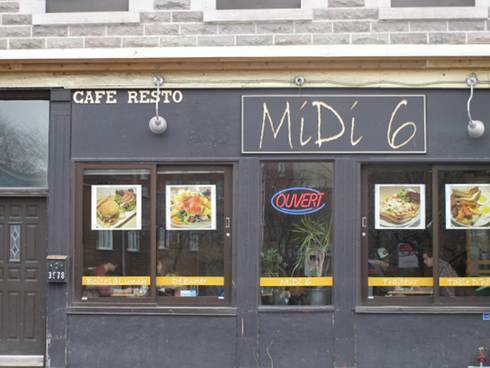 At 1st glance Midi 6 is west of Atwater and there used to be this big divide between the east and west side of Atwater almost like the east vs west coast rap wars back in the 90’s. Now the east side is more developed with new restaurants and bars while the west is older but has been changing recently and has some hidden gems. 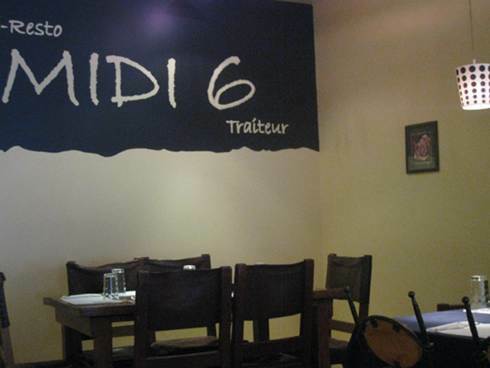 Food Open every day from 9am to 3pm, Midi 6 offers a variety of breakfast and brunch items on its menu. The menu is quite straightforward and most items are under $10. 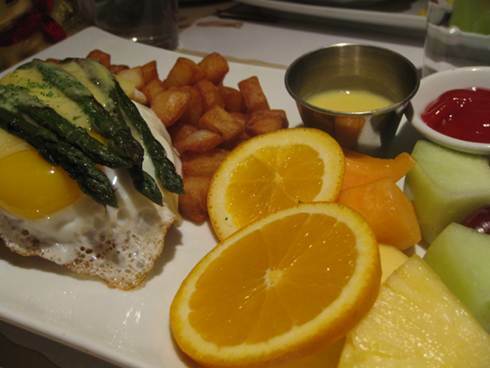 There is an extra brunch menu on the table and the main menu only lists the breakfast items that they have on a daily basis. All of our dishes came with complimentary coffee along with free refills. 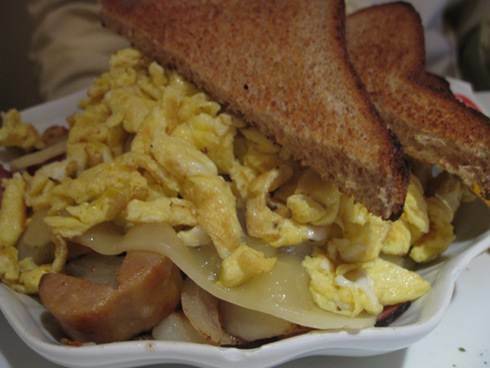 We started off with the Eggs Fermier dish ($9.96) which is two eggs any style, cheese, mixed with ham, bacon, and sausage, and a choice of bread. The eggs my friend took were scrambled and it was mixed up with the meat making for an interesting taste since the lightness of the eggs got mixed with the meaty flavour. My friend went for brown bread and was pleased to find out that it does not come buttered by default. I should note that this is not the first time that people have mentioned their preference to get bread that is not buttered. I didn’t think it was a big deal but then another friend of mine once explained to me on how every time they request bread without butter it always get messed up so it would make sense that its easier to add butter than it is remove it. I ended up going for the Belgium waffles ($8.96) which is 2 eggs any style, ham, cheese, hollandaise sauce all served on a waffle with fruit and potatoes. I opted for a fried egg although scrambled would have likely been a better option. The cheese slices on top of the egg didn’t impress me in terms of presentation initially but the taste pairing worked very well especially with the asparagus. The potatoes were decent, although a potatoes fan, I am not. The taste of the dish, overall, impressed me and the price was quite welcoming considering it was under $10 and came with bottomless coffee. Our waiter was very helpful and patient as we hummed and hawed about what to order and his suggestions were spot on. There are enough options on the menu to give you some vegetarian choice. Overall a pleasant experience. The price is very fair, and you get a good sized portion. I would have liked to see a more varied menu, but I was satisfied with the taste of the food. I’m sure if they take a few more risks with some items this place can make some people in the area quite happy.